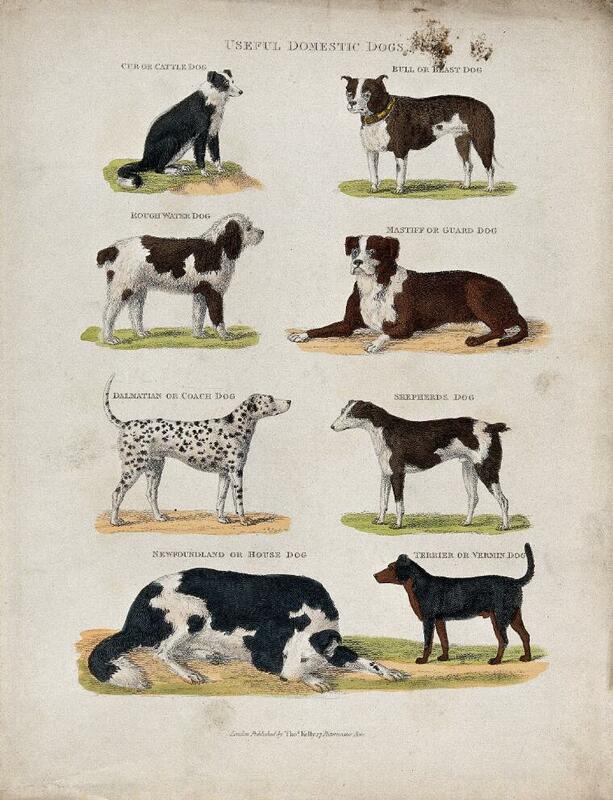 Eight different domestic dogs, including a cattle dog, a bull dog, a mastiff, a rough water dog and a dalmatian. Coloured etching. London (17 Paternoster Row) : Thomas Kelly.